This year, the world has been marking the 50th anniversary of the assassination of Rev Dr. Martin Luther King. On 4th April 1968, Dr. King was fatally shot on the balcony of the Lorraine Motel cutting short the life of the man who had become the conscience of America, indeed the world. During the 1960s, Dr. King made several visits to the UK and on 29 October 1961, he preached at Bloomsbury Baptist Church. It is a great privilege to be hosting this special event at the very place where Dr. King preached. 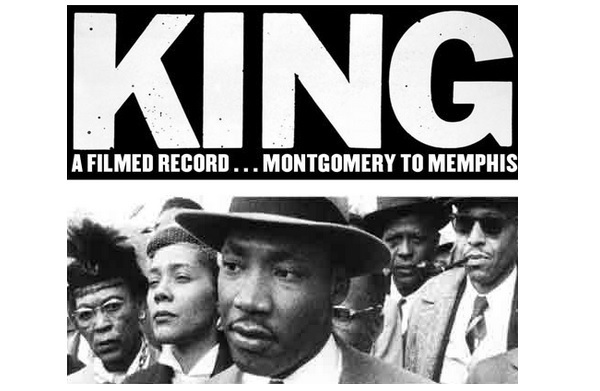 From Montgomery to Memphis is an extraordinary, rarely seen documentary made in 1970 and tracing Dr. King’s life and accomplishments from the 1955 bus boycott to his 1968 assassination. Such screenings as this one will become an integral part of MLK Global – a new project launched in 2017 to deepen awareness of Dr. King’s international relevance for today and in particular his call to recognise the inter-related nature of economic exploitation, racism and militarism. He rightly argued that to dismantle one, you must dismantle all. This gathering was also a solidarity event with the Poor People’s Campaign in the USA. Dr. King’s last great effort in 1967/68 was the ‘Poor People’s Campaign’ – a mass mobilisation of black, Latino, native American and poor white people to call for the re-direction of war spending to public services and a minimum guaranteed income for all Americans. This new Poor People’s Campaign, led by Rev William Barber, aims to shift the moral, social and economic narrative in the USA. June 23rd marks the end of 40 days civil disobedience as they seek to finish what Dr. King started. 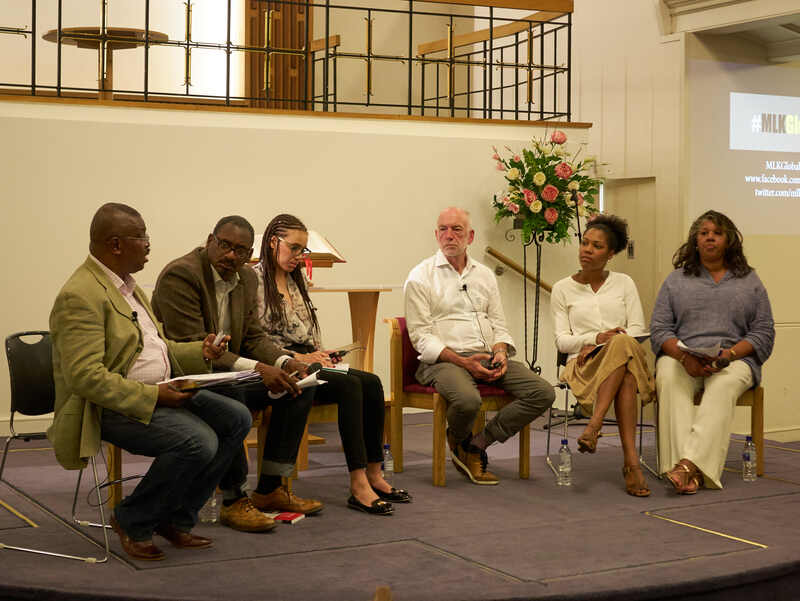 Following on from the film screening, we had a post-film panel discussion with leading contributors coming from a range of backgrounds, and which, combined, reflected to the scope of Dr. King’s own theology and activism. Dionne Gravesande has recently taken on the role as Christian Aid’s corporate lead on ecumenical relations and before that was until Head of Church Advocacy supporting the church in its public witness on key issues of poverty and injustice. She also co-leads on MLK Global, a Tipping Point North South project. Richard Reddie is an author, broadcaster, community activist and biographer of Dr. King Martin Luther King Jr. History Maker. He is Deputy Head London Region for Christian Aid. Neil Jameson CBE is the UK Founder and Executive Director of Citizens UK, which organises communities to act together for power, social justice and the common good. Neil is a Quaker Elder. Selina Stone is Tutor and Lecturer in Political Theology at St Mellitus College. 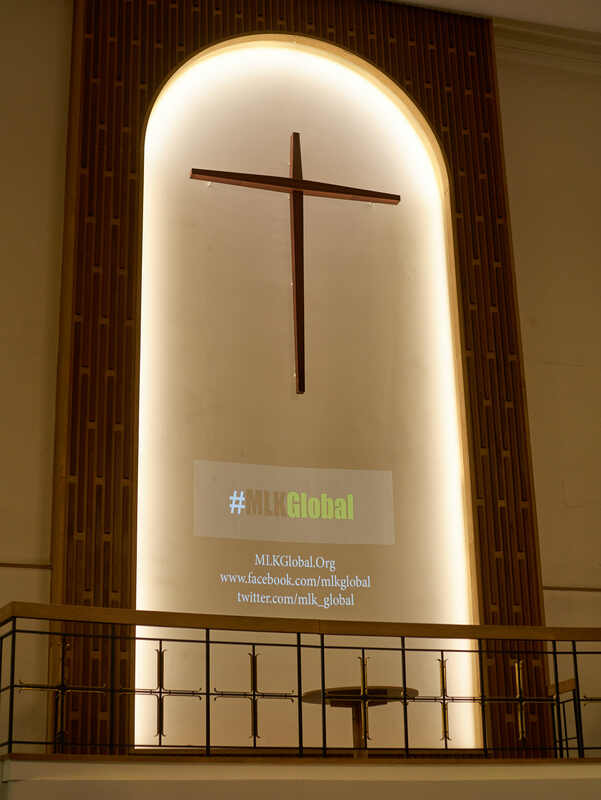 She is a part time PhD student at the University of Birmingham researching the impact of Pentecostal theology and ministry on issues of social justice. Eleasah Louis is an academic Researcher and PhD Student at Canterbury Christ Church University, facilitator of Black Consciousness and Christian Faith and a speaker on social justice issues. Dr. King’s structural analysis of race, economy and war – and his solutions – were way ahead of his time. The same ‘Triple Evils’ he talked of in 1967/68 are still interconnected, only now they are global: we are close to an annual $2trillion global military spend; we have even greater levels global inequality; and we are seeing racism and the far-right rising.